The Northern Black Hills has already produced two Hall of Fame bands, Gary Miller & the Vaqueros and Larry Bell & the Continentals. In 2013 the Roselles Brothers Band will also be inducted. They started in the late 50's in Lead and consisted of brothers Les, Gary, Stacey, Steve, and Mark. Their father was also a musician and was instrumental in the boys learning to play multiple instruments. The band performed in a seven state area singing rock & roll, oldies, and even some comedy. Their versatility allowed them to also play country. 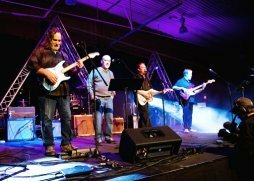 For the past fifty plus years they have been involved in some type of music and still do some benefit shows as well as other music in the Black Hills area.